Ernst Haeckel was a nineteenth-century German biologist who helped establish the field of oceanography through his precise recordings of nature’s forms. His illustrations of deep sea creatures, such as jellyfish, corals and anemones, are highly ornate, vibrantly coloured and fluid in form. Haeckel marries science and art in his geometric designs. 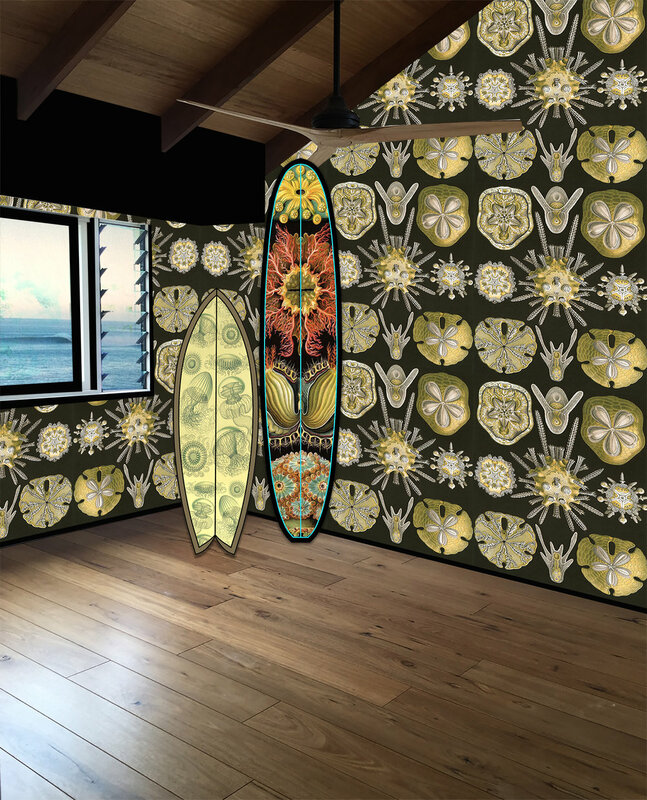 At HOPONIT we translate these illustrations into custom wallpaper, textile prints and homewares for our oceanic collections. We’re honoured to work with this body of original images from the State Library of Victoria to commemorate the art forms in nature that surround us.